Unfortunately I think I need to repeat a couple of facts about me, to get my point across, so bare with me, or just note that I am self-made and I am "successful", and skip down to the big fat headline a few paragraphs further down. Make no mistake, I had already by then as an 18-year old been awarded Best student in Mathematics and Physics over three years and received the award and prize money from the hands of His Majesty King Carl XVI Gustaf of Sweden, in front of 10 000 (about 10% of the city's population at the time) cheering spectators in Västerås (Sweden's oldest* city, established 990, and sixth largest in Sweden) on Sweden's national day. I had also been accepted at Sweden's only (semi) private university (Stockholm School of Economics) and graduated at the top of my class. (There's no official nr 1, but I did have the highest grade in every single subject, except the final thesis, and the school officials spontaneously were very eager to tell me that hadn't seen anything like my grades before). By the way, I was called "the school hippie" by some, due to my obviously cheap clothes and undisciplined hair. Starting with being headhunted in 1996, right after conquering Aconcagua, the highest mountain outside Himalaya, things took off for me. What I lacked in drive, I seemed to more than make up for with raw intelligence, stamina and sense of duty. 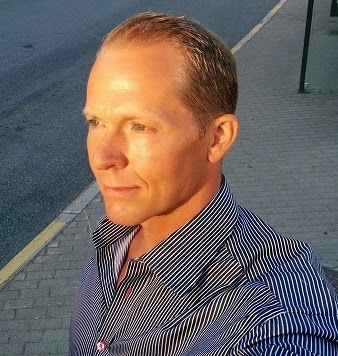 Without ever trying to accomplish anything, by 1996 I was appointed head of IT equities research at Sweden's largest bank (24 years old) just as the Y2K and IT bubble had taken off after Netscape's IPO. A few years later Sweden's largest financials news publication, Dagens Industri, named me and a couple of others "The Dream Team of IT analysts". And in February 2000, my real claim to fame, I decided to leave the stock market buy side to take up a position at a newly incepted (October 1999) hedge fund. Little over ten years later I found myself on the stage at a hedge fund awards gala in London, accepting the prize for Europe's Hedge Fund of The Decade, all categories. Four years later, in january 2014, I simply quit the industry to retire with a double digit million dollar sack of cash. Career-wise, I have heard the above counts as self-made and successful. But, enough bravado and on to the story at hand. I really enjoy getting hammered, just drenching myself in alcohol. Sure, I've tried a lot of the (hard-core) drugs on this list as well, but they just don't do it for me. Alcohol is my way of triggering fun-time. I like the first buzz, I like the crazy stuff I suddenly feel comfortable doing, I like dancing and clowning around, I like having to fill in the blanks the day after with the help of photos and friends. Not least, I like the photos that remain after the party has ended and the hangover is gone. However, I can only enjoy it about ten times a year, because my Annual Alcohol Enjoyment Quota simply runs out by then. So, for me alcohol (ab)use is self-regulatory; I don't drink more with age, I don't drink more per occasion, I don't drink hard more times per year and I don't enjoy getting drunk more than a couple of days in a row. Best of all, I always get productive after binge drinking. Not right after, but about a week later I am often stoked to train, to learn, to write. I just love coming back from hangover hell and do stuff, tangibly feel getting better, improving. I simply enjoy several aspects of life and some of them include getting better, being productive and consciously exploring, but other, like binge drinking, are about letting go, giving chaos a chance. or retired and rich at 42 without needing a job, a fancy car or some other manifest of your former accomplishments. As William B Irvine (a tip from a reader) says in this video, philosophers of all schools try to answer two questions: What is valuable? and How do you get it? The first question is down to knowing yourself and the second is about knowing, identifying your obstacles. So, get to know yourself, explore your wants and needs, try to discern between long term and short term fulfilment, try as many things as possible, follow your flow, and pay attention to when you actually enjoy life or enjoyed life and not when you just tried to impress others (that's just second-handing and confidence-jerking off, and of course more or less useless). Be mindful of true first-person experiences, of living for yourself. *There actually is one small city (Skara) that was established two years earlier, in 988, but it's close enough. I'll leave out other contentious details on city-forming in Sweden for discussions elsewhere.